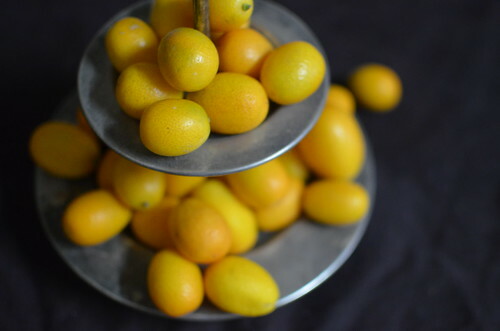 Roll the kumquat around on the counter for a few seconds, just like we do when we desire juicy limes and lemons. The skin takes on a glossy hue and the citrus fragrance embraces you. Holds you tight. Doesn’t let go. Shouldn’t let go. I have many weaknesses: Cilantro. 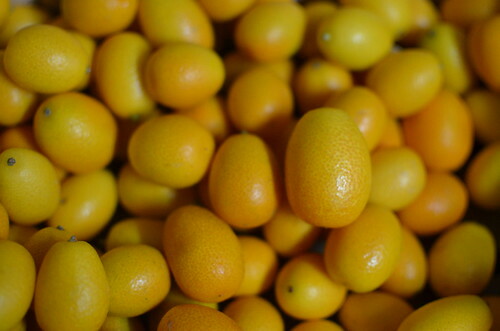 Kumquats. Pineapple. Sleep. I make no apologies for them. 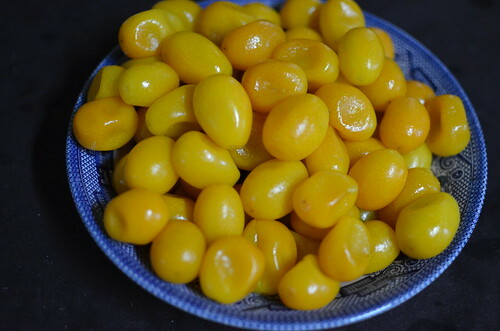 They sometimes lead me down irrational paths….like almost doing a dance when I find kumquats in a store in Lagos. As in Lagos. Nigeria. Not in the aisles of Sligro. In Holland. Not in New York or Brighton. No, not anywhere there, but here. At home, in Nigeria. At Shoprite, a South African store, just doing my usual ‘when in Lagos-visit Shoprite‘ tour…..and I see them. I don’t care that they cost an arm and a leg ($5/ pack of 12 – 14), all I want to do is candy some and make a Kumquat Shaker Pie. With a vodka crust, on a Sunday afternoon. Not only do I want pie, but I want my family and friends to taste the peculiar fruit – tart on the inside, sweet on the outside. 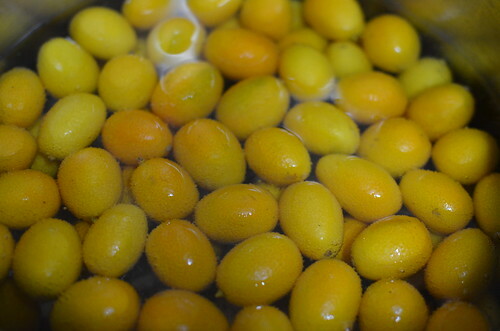 In a small saucepan, cover the fruit with cold water and bring to a boil on medium heat, just under 10 minutes. Drain. 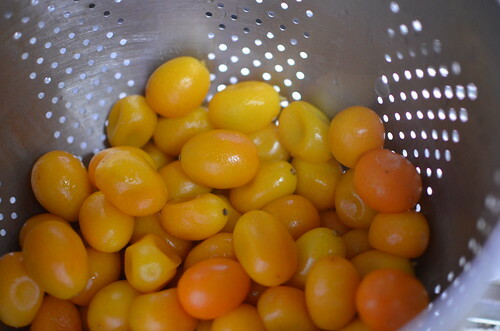 After just one boil, the kumquats plump up even more and adopt a shine that wasn’t there at the start. Cover the fruit with cold water and bring to a boil again, also about 10 minutes. 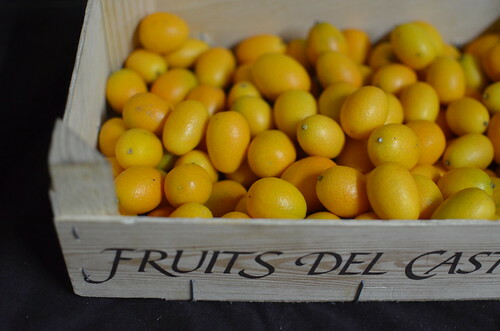 Drain and reserve the liquid, set aside the kumquats. 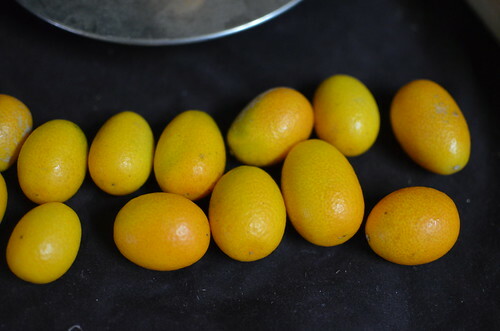 The kumquats will deflate somewhat, the skin dimpling. 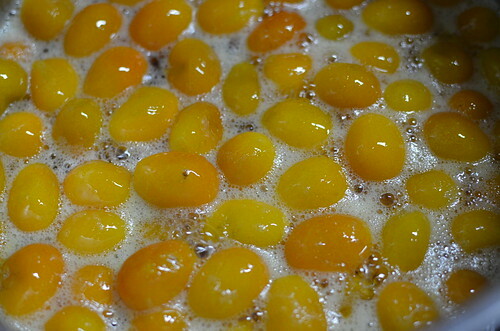 They’ll feel lighter, take on some translucence, ready to absorb some sweet, sugar syrup. In the same saucepan, combine 1 cup water and the sugar, bring to a boil (about 4-5 minutes), reduce heat and simmer for 10 minutes. 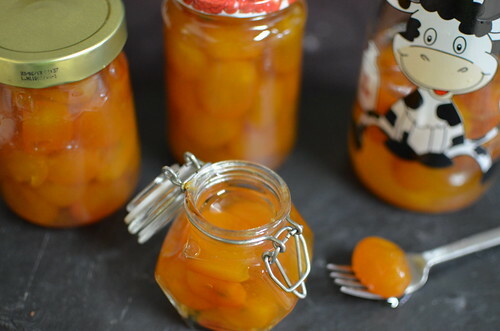 Pierce each piece of fruit 2 or 3 times with a paring knife – this will allow the syrup penetrate into the fruit, candying it inside and outside. 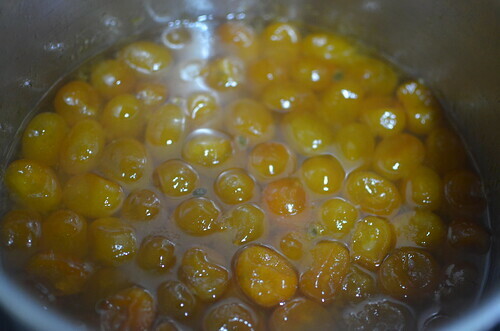 Drop the fruit into the sugar syrup and continue to simmer for 15 minutes for kumquats. 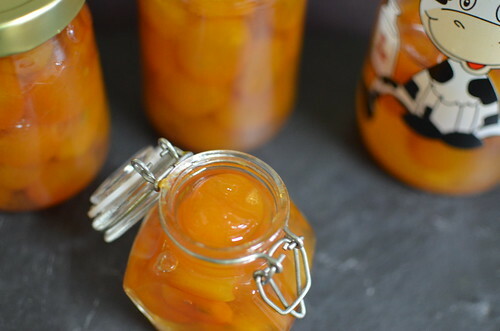 Remove from heat and allow the fruit to steep in the syrup, unrefrigerated for 8 hours or overnight. Bring the syrup and fruit to a boil, then reduce to a simmer for 10 minutes. Cool and store in glass jars or freeze in ziplocs. Refrigerated, fruit and syrup will keep for 3 months. Note, I left the seeds in. 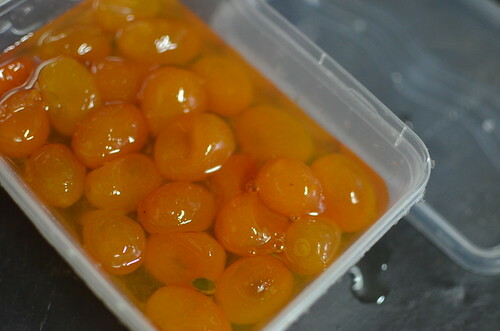 You can remove the seeds painstakingly, to make kumquat flowers. You are better people than I. You can pop some into freshly pressed sugarcane juice – my weekend plans. You can add to the finest Boston Cream Pie.